Steven Universe is a show with many subtle secrets hidden within it. Fans have spent months picking through episodes and finding what appeared to be animation errors actually being subtle clues to upcoming episodes. One big theory is that one of the main characters isn't what they appear to be and is secretly a diamond. A pearl isn't actually a stone, it's the calcified organic byproduct of molluscs. As the Gems talk about Steven being unique due to his organic nature, Pearl can't be a pearl. The only explanation is that she is a different stone, disguised as a pearl. Pearl's features resemble the hard lines of a diamond more than the soft curves of a pearl. Her hair tapers to a point. Her head can be seen as a diamond shape. Her nose is a diamond. If she puts her legs together and holds her hands together above her head, her body makes a perfect diamond. Can this possibly be coincidence? Pearl never shapeshifts. Shapeshifting would reveal that she is in fact a diamond. 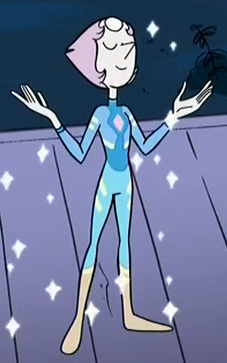 Pearl's spacesuit has a diamond on it, betraying her diamond nature. 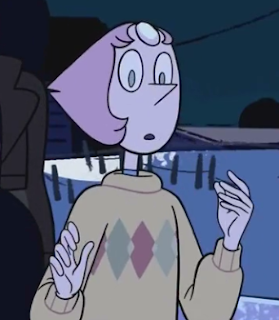 In 'Maximum Capacity', Pearl's cardigan is covered in diamonds, teasing us as to her true form. Pearl's spear is sharp, almost diamond-like! Jasper realises that Pearl is not a real pearl, calling her a 'defective pearl'. But she is unable to realise Pearl's true nature as a diamond. In 'Sworn to the Sword', Pearl sings about not being made to fight. No, she was made to rule, as a diamond. Pearl is the master of lies. In 'So Many Birthdays' she declares her love of pie, and yet bare episodes later in 'Fusion Cuisine' she makes a fuss about how she hates to eat any food. What else is Pearl lying about? Pearl seems very upset about Rose's death. This is strange. Perhaps Pearl is upset that she didn't get to kill Rose herself? In 'Serious Steven', the characters enter a giant white diamond pyramid. Pearl is oddly reluctant to use her genius tactical nature to figure the pyramid out - could it be that she didn't want the other Gems to learn its secrets and deactivate it? In 'The Return', Peridot's laser deliberately swerves to avoid Pearl when it's heading straight for her. Why could this be? Perhaps Pearl is Peridot's secret master? Why does Pearl seem so interested in the Gem fragments in 'Secret Team'. Could she want to be using them for the same purpose as Peridot was in 'Keeping It Together'? So it's certainly probable that Pearl is actually White Diamond, not a pearl. But what does Pearl being a diamond mean to the show? Could she have disguised herself as Pearl in order to get closer to Rose, her true love? Or is there a more sinister reason? Could Pearl have infiltrated Rose's resistance group for evil purposes? Could she have set Rose's group against Homeworld in an attempt to cause a civil war that she would be the final victor of? Consider: Steven has been put in danger more times by Pearl, not by any other monsters or Gems. As he has the Rose Quartz gem, Steven is Pearl's biggest rival. This is why she attempts to blow him up in 'Space Race' and let him tumble to his doom in 'Rose's Scabbard'. 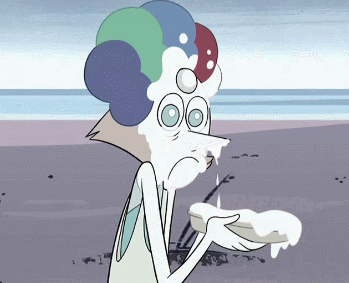 In 'So Many Birthdays' on learning that Steven is dying as he is too depressed, Pearl instantly becomes a depressing clown in an attempt to make him even sadder, stopped only when the other Gems explicitly accuse her of trying to murder Steven. Remember, the only evidence that Pearl actually cares about Steven's wellbeing is in 'Say Uncle', and that episode is 100% non-canon. 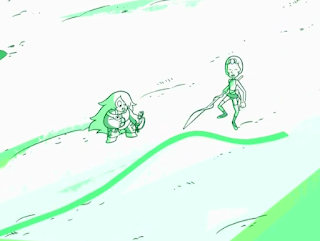 Can it be any coincidence that Pearl attempted to flee Earth just as Lapis made it off-planet? Was Pearl planning on rejoining her Diamond Authority cronies for the final war on Earth? As any Game of Thrones fan knows, Doran Martell is a pretty clever man. He has been expertly manipulating events in the books to ensure the dominance of Dorne. Many characters and settings have changed for the show though, leaving fans confused as to what Doran's endgame is. Clearly his master plan will be as equally genius, but what is it? In the books, Doran has another son, Quentyn. Doran sends him to marry Dany but in reality he is a disposable pawn being sent on a fool's errand. Quentyn bumbles about for a book achieving nothing with no hand to play before getting roasted alive by a dragon. This causes Dorne to turn against Dany, allowing Doran to ally himself with fAegon, a claimant to the throne. Of course, in the television show there is no Quentyn, and no fAegon. Or is there? Some of these characters may have been standing right there in front of our noses this whole time. His son Trystane is also his son. Why does Doran, a master strategist, let him go on a boat with Jaime onto to also have Myrcella killed? This gives Trystane as a hostage to the Lannisters who will surely kill him. Unless of course, Trystane is the show's version of Quentyn, a disposable son-pawn for Doran to discard. Who then is fAegon? Could the Dorne plot have had a secret meaning after all in introducing this vital character to Westeros? Yes. Doran has met with fAegon in secret, pledging to help the Targaryan take the throne. Like the books, he plans to have one of his daughters marry fAegon. But who is fAegon? That's right. Bronn. 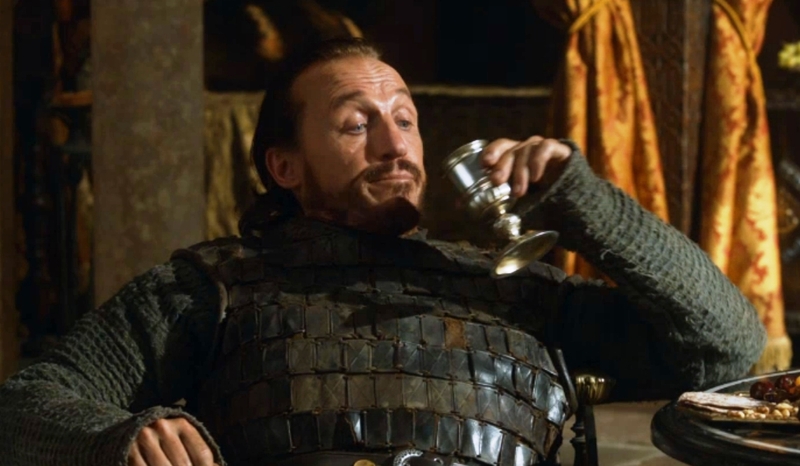 Bronn has a mysterious past, and could easily be a secret Targaryan prince. His mission to Dorne made no sense unless it was to secretly treat with Doran. Doran's daughters are madly in love with his princely charms and cured him of a deadly poison. With Trystane a hostage and/or dead, the Lannisters will think they have Doran where they want him, not realising that they are indeed dancing to the tune of the mastermind Doran and his prince, Bronn.